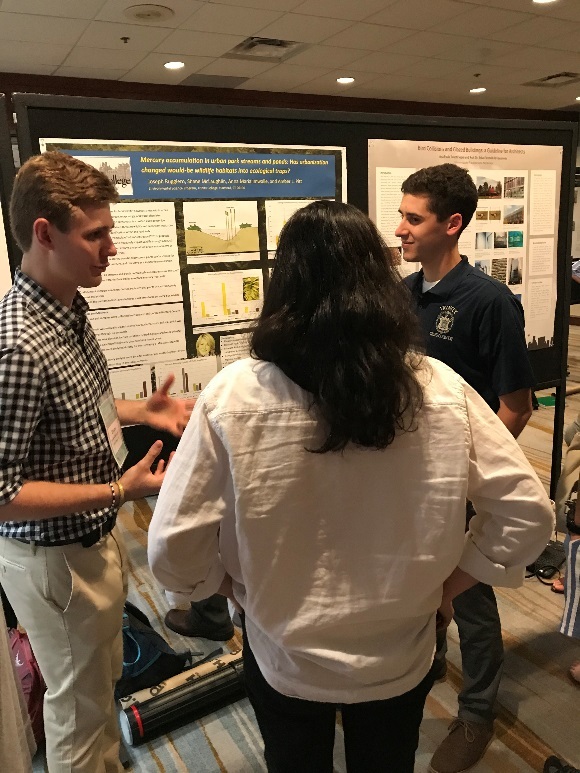 This summer, Shane McLaughlin (’19), Anna Maria “Bobbie” Imwalle (’20), and Joe Ruggiero (‘19) worked with me (Dr. Amber Pitt) to investigate the impacts of human activity on wildlife populations and freshwater ecosystems in urban Connecticut and rural Pennsylvania. Ponds and streams can serve as critical habitats for wildlife in urban settings. However, they also can become ecological traps for wildlife if they are contaminated with toxins that decrease reproduction and survival. Wildlife can accumulate toxins through direct contact with the substances in the environment, as well as by consuming contaminated food sources such as plants and animal prey species. 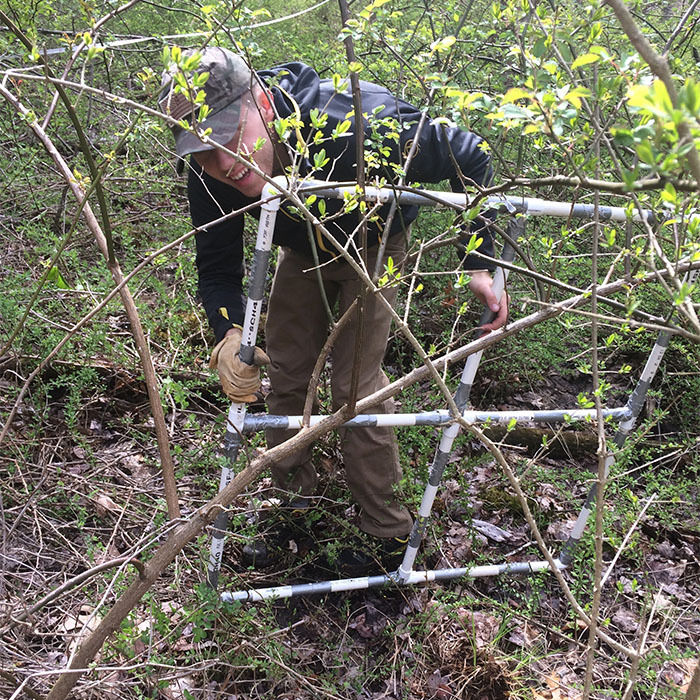 Shane and Bobbie took to the ponds, while Joe took to the streams, in parks in the Greater Hartford Area to explore contaminant levels in sediments and plants found within these ecosystems. Shane and Bobbie also assessed amphibian, reptile, and bird diversity in these ecosystems. They found that some ponds and stream segments were more impaired than others with contaminants such as mercury. 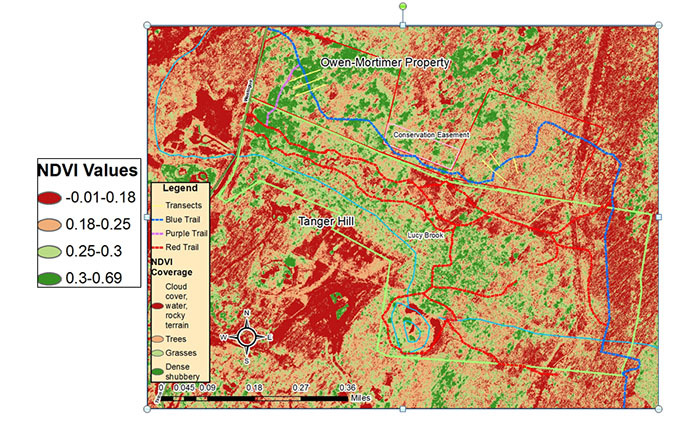 Results were somewhat surprising though in that some of the most impacted ponds were located in the more beautiful, highly vegetated settings. It’s likely that those results were due to the application of lawn and gardening chemicals that contain mercury. These results suggest that use of such chemicals may pose a threat to wildlife in these habitats, as well as to people who recreate in and consume fish from these ecosystems. Shane, Bobbie, and I headed to Pennsylvania to continue research on hellbenders. Hellbenders are giant salamanders that live in streams and rivers in the eastern United States, from southern New York to northern Georgia, and west to Missouri. Their populations are declining throughout much of their range, and the Pitt lab has been researching the drivers of this decline so that we can better understand how to reverse these trends and conserve this species. 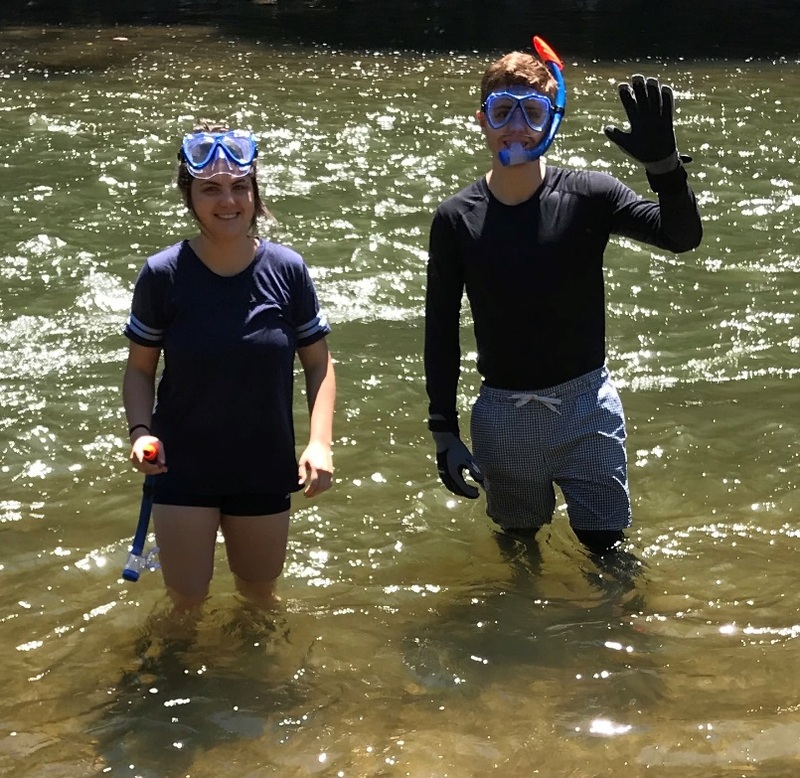 Donning masks and snorkels, we took to the streams to survey the hellbender population. Bobbie and Shane getting ready to snorkel. 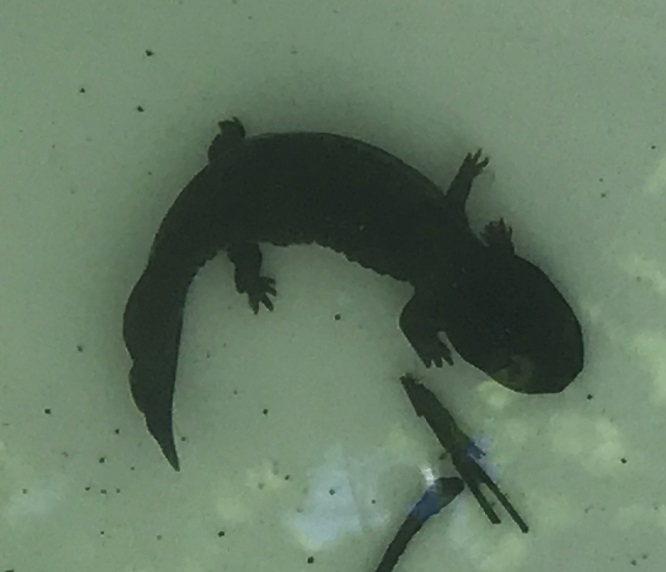 While many hellbender populations show no signs of recruitment, our efforts uncovered a larval hellbender, indicating a healthy, reproducing population. A larval hellbender we found. 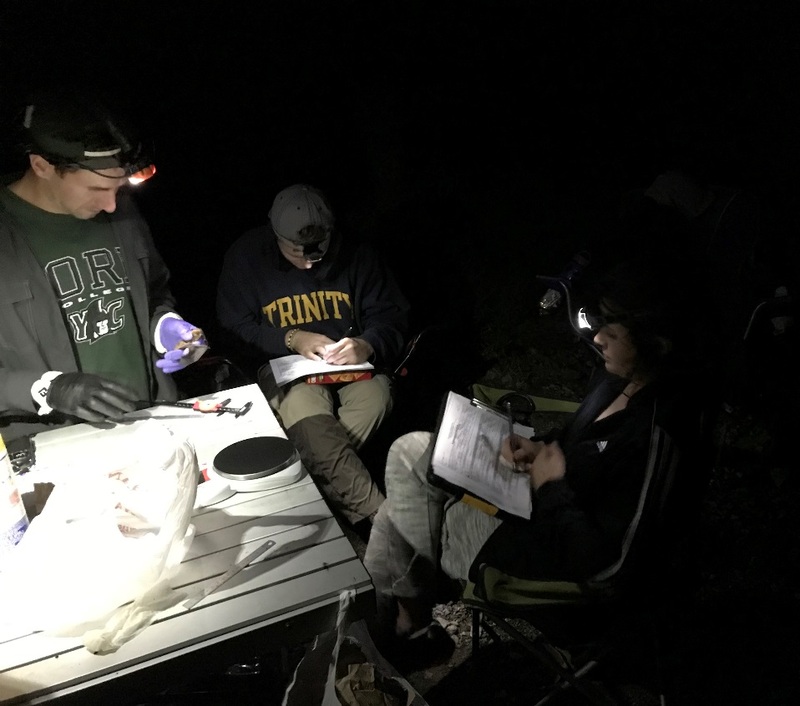 As an extra treat while in Pennsylvania, Shane, Bobbie, and I joined one of my former graduate students, Jamie Shinskie, for a night of bat surveys. 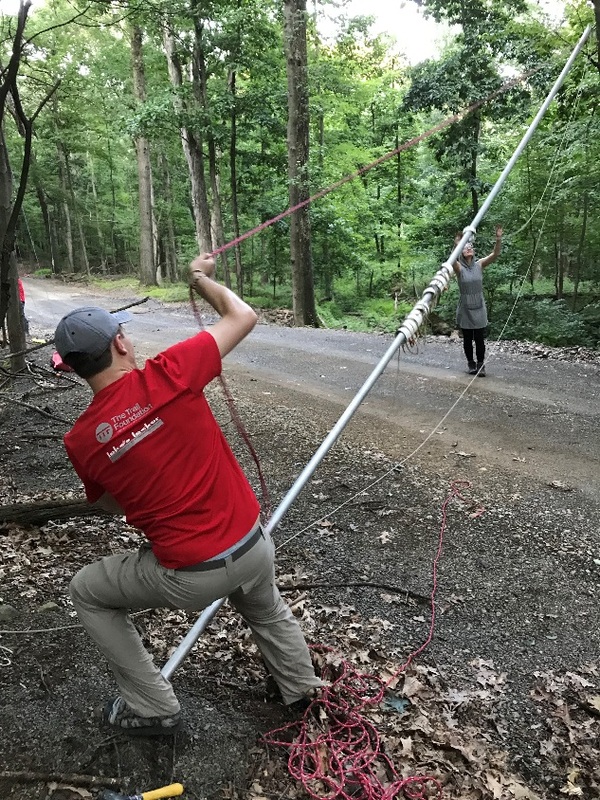 Bat populations have declined precipitously due to white-nose syndrome, and an important step in conserving bats is to monitor their populations to understand how the populations are changing over time. Shane setting up a mist net to catch bats. One of the bats captured in the mist net. Shane and Bobbie recording morphometric data for the bat researchers. 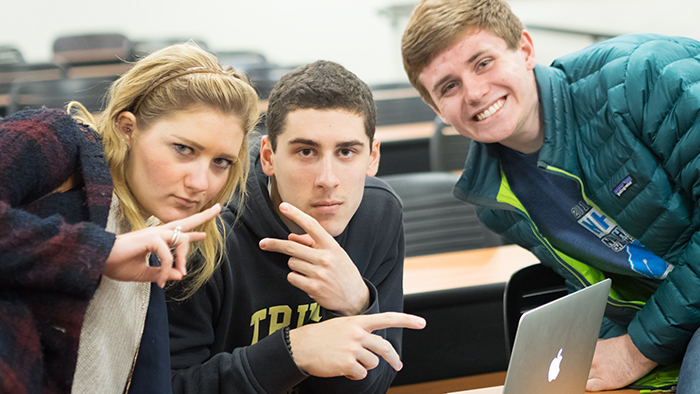 With data and presentations in hand, Shane, Joe, and I headed to Canada to share the results of our research! 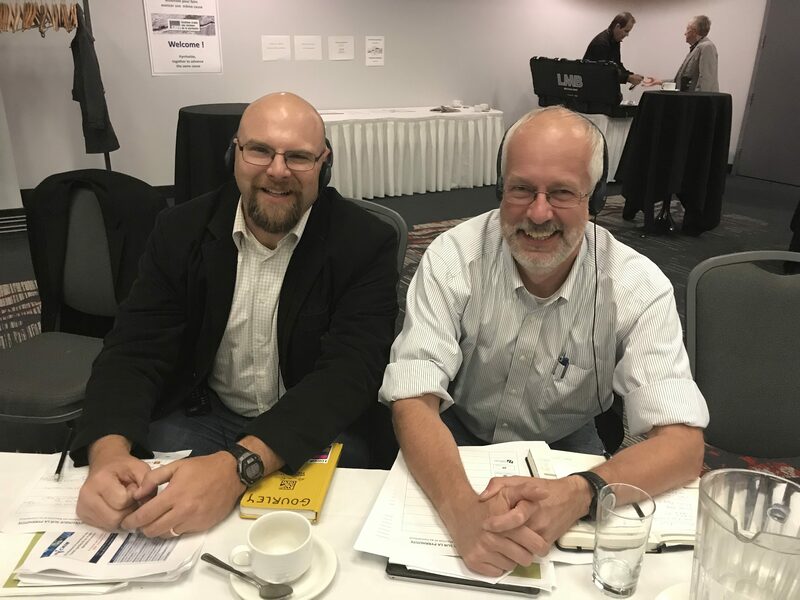 Shane and Joe presented the urban pond and stream research and I presented hellbender research at the North American Congress for Conservation Biology in Toronto, ON. This professional scientific conference was attended by more than 800 people who specialize in conservation science, policy, and communication. Shane and Joe explaining the urban pond and stream study. 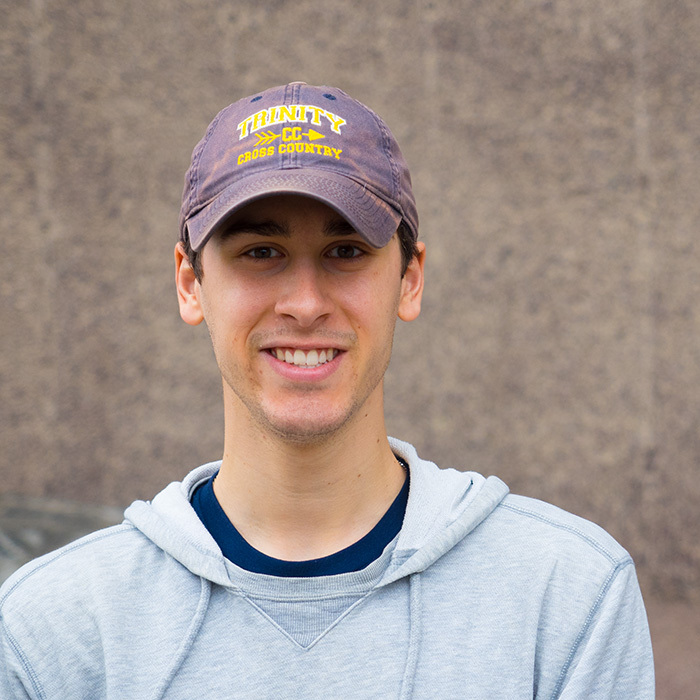 Our group also took some time for bird watching while in Toronto…sort of. With the Rogers Centre just a few blocks from the conference venue, the group decided to take in a Blue Jays game. 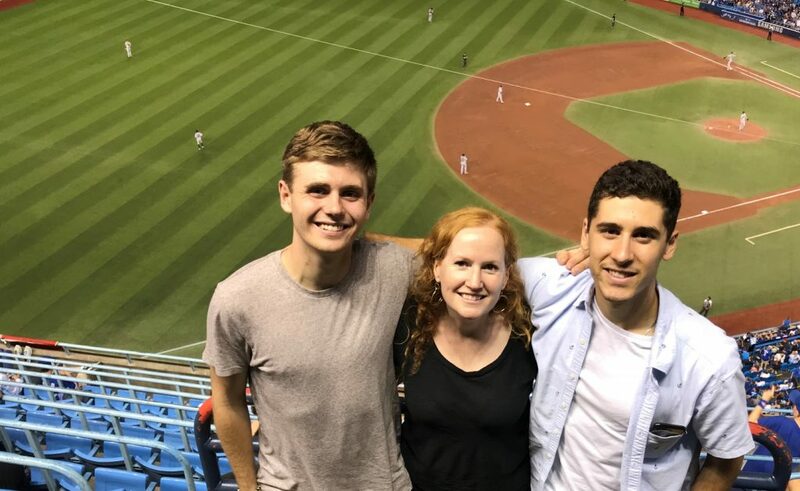 The Blue Jays may have lost that night, but our lab team shared a winning experience. Shane, Amber, and Joe at a Toronto Blue Jays game. The goal of Nicole’s research is to see if it is possible to reconstruct a history of past fires through charcoal analysis. Charcoal is used as an indicator to reconstruct past fire dynamics and, when coupled with other paleoecological proxies, can be used to enhance paleoecological reconstructions. 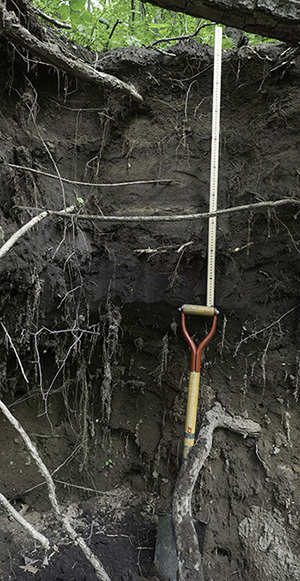 The soil samples come from a series of locations within the Hitchcock Nature Center in Pottawattamie County, Iowa (41.4209°N, -95.8659°W). 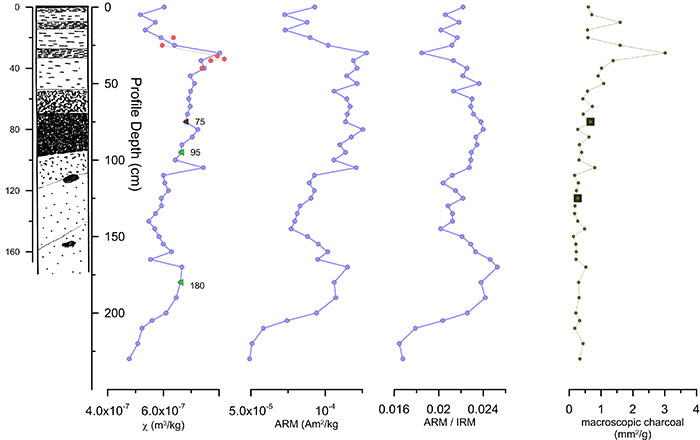 The samples were collected at 5 cm intervals up to a depth of 2.3 meters at each location. A small amount of each sample was mixed with 0.10 M KOH solution in a centrifuge tube. The tubes were then placed in an ultrasonic bath to break up soil fragments and was then passed through a 180 mm screen. The coarse fraction was rinsed with deionized H2O to remove any fine particles and the remaining sample transferred to a petri dish. 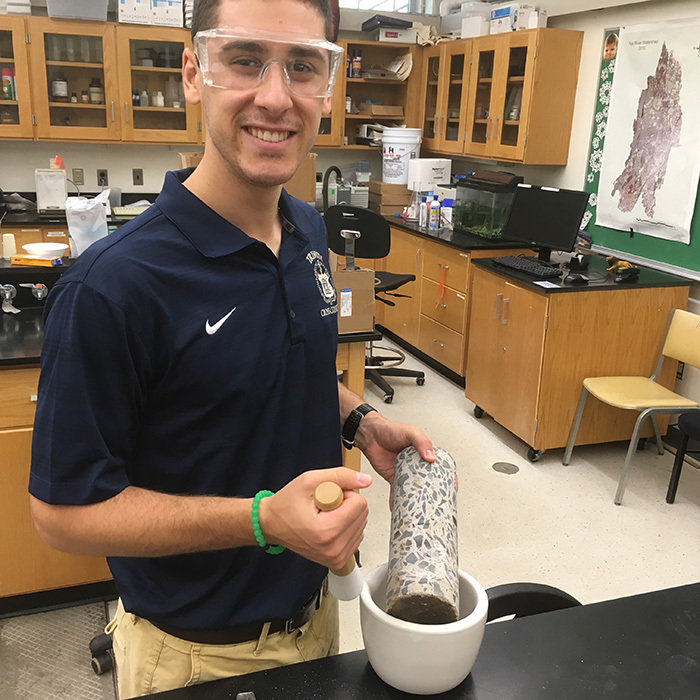 Charcoal was identified at 20x magnification under a microscope and separated from the rest of the sediment sample for analysis. 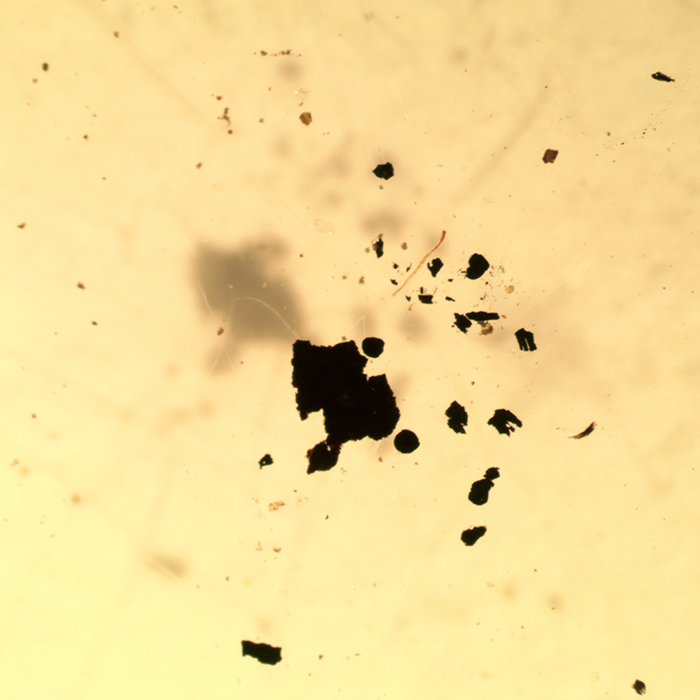 Charcoal particles were photographed, and their surface area was determined through image analysis performed in ImageJ. This is what macroscopic charcoal looks like. Charcoal concentrations are reported in mm2/g. The soil profile was dated using four radiocarbon ages obtained from charcoal fragments and snail shells. All soil ages were in chronological order and the oldest soil samples were approximately 780 years old. Prior to approximately 1870 average charcoal concentrations are low and relatively consistent in most samples. 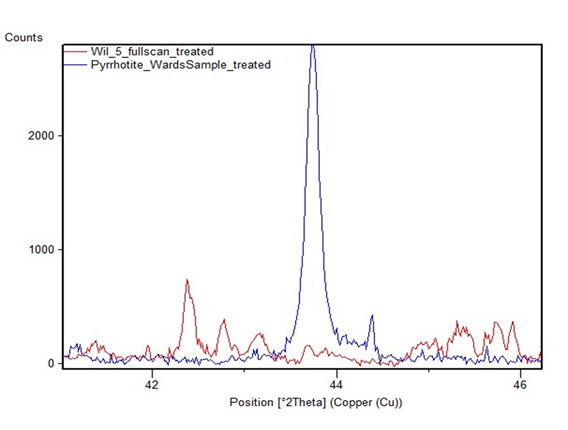 An image of Nicole’s soil profile, several magnetic parameters, and Nicole’s charcoal counts (in brown). The spike in charcoal occurred approximately at the end of the 19th century. 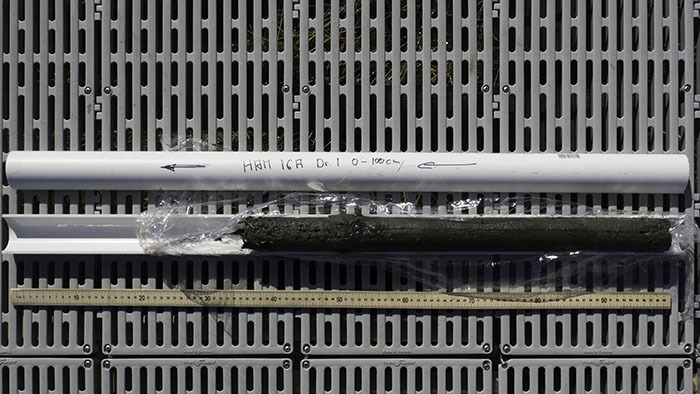 At a depth of 30 cm below surface, there was a spike in the amount of charcoal up that is higher than most of the rest of the sample. This spike dates to approximately 140 years ago and its timing correlates with the onset of large-scale settlement of Pottawattamie County by European settlers. 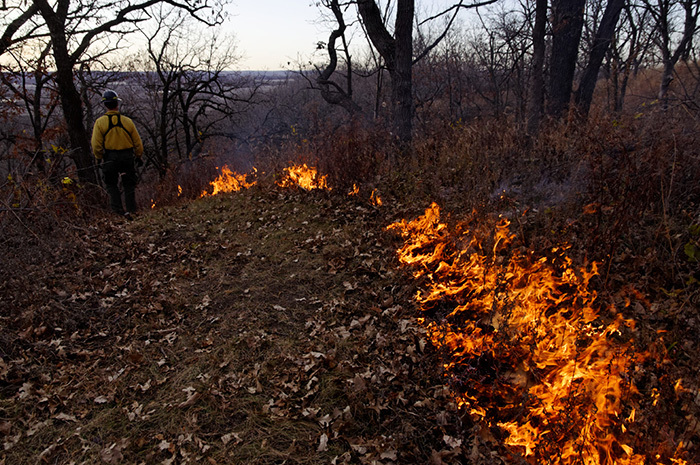 Settlers likely burned the original forest and grasslands to create viable land for farming. 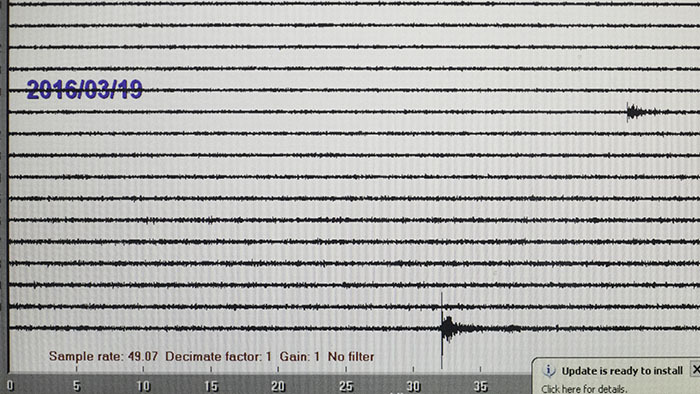 After this initial spike, the level of charcoal decreases but continues to stay elevated. 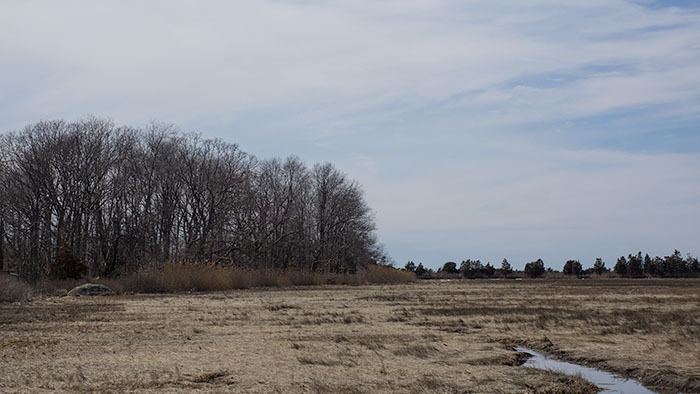 This could be a result of less frequent burning to keep the unwanted biomass at bay. 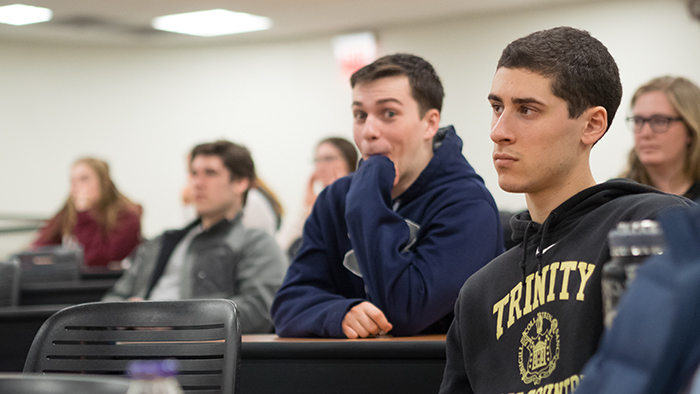 At this week’s science symposium we enjoyed two talks from our ENVS majors. 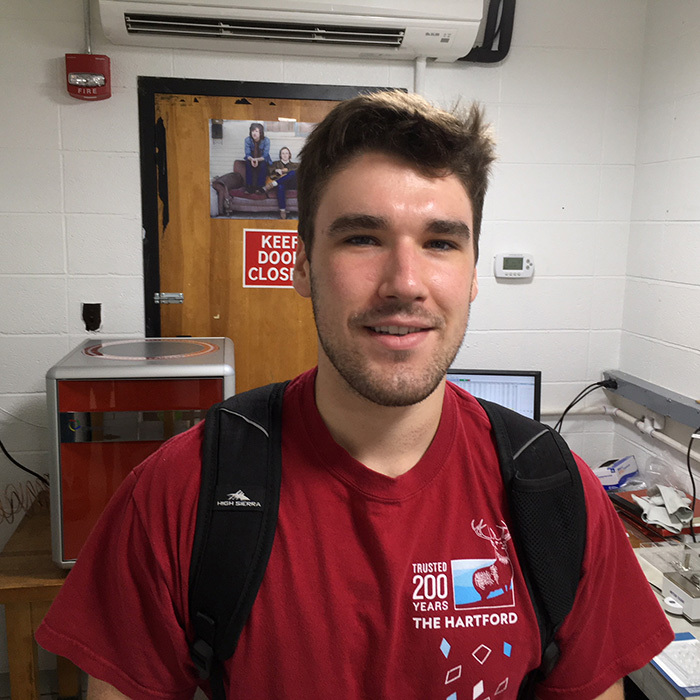 Joe Ruggiero presented work on his research on pyrrhotite in Connecticut metamorphic rocks and how it affects the stability of concrete. Pyrrhotite acts as a source of sulfate which can lead to internal sulfate attack (ISA) in concrete foundations. 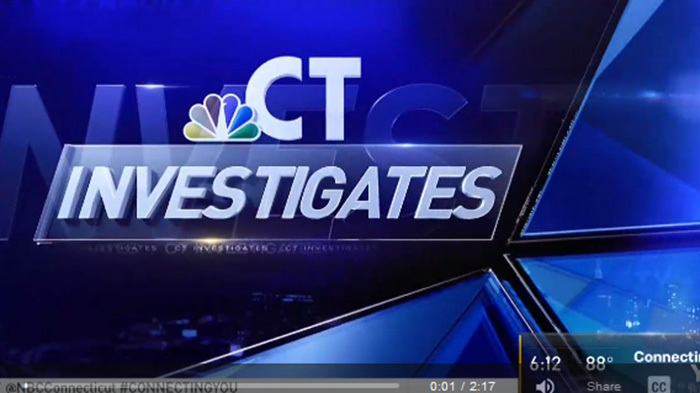 ISA due to pyrrhotite-containing aggregate is the cause of premature concrete failure which affects thousands of homes in northeastern Connecticut. 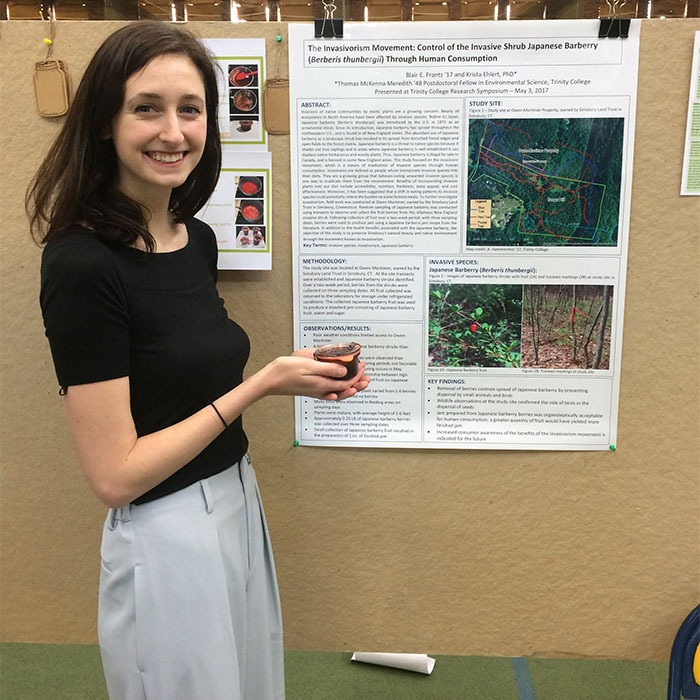 Sarah Messenger, an ENVS / BIOL double major, presented her work on permeable reactive barriers and their role in controlling nitrate inputs into estuaries. 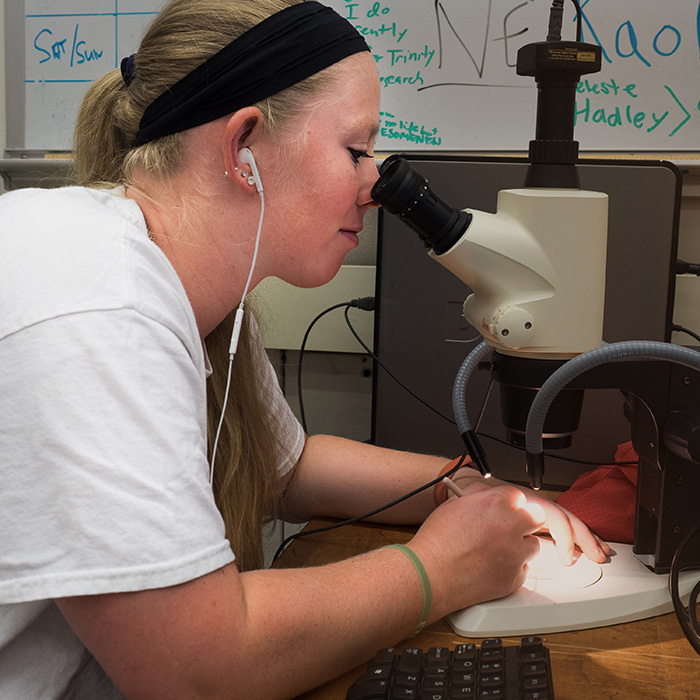 Sarah’s thesis started out as a semester-long research project with MBL at Woods Hole. 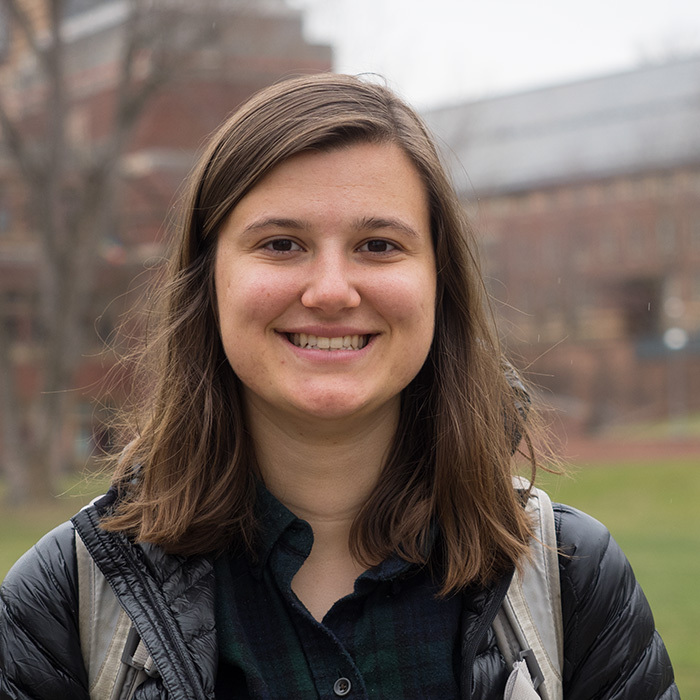 She continued her study on the efficacy of these barriers and is currently working with Dr. Lisa Foster identifying the bacterial communities involved in nitrate reduction. Both, Joe and Sarah, did an outstanding job. Congratulations! 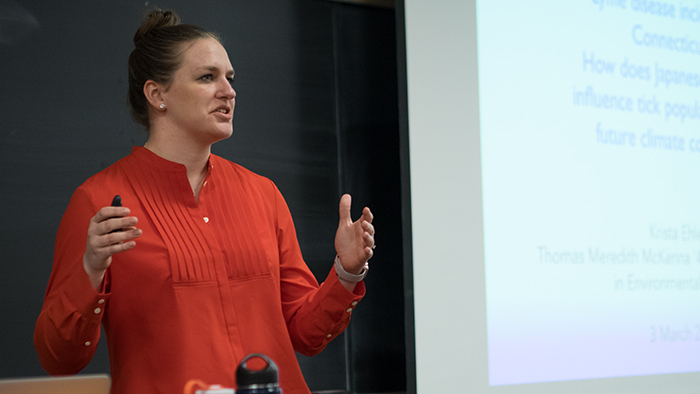 This Friday Krista Ehlert, our current postdoctoral fellow, gave a presentation on her research project on the links between Japanese Barberry (an invasive plant), Lyme disease and climate change. 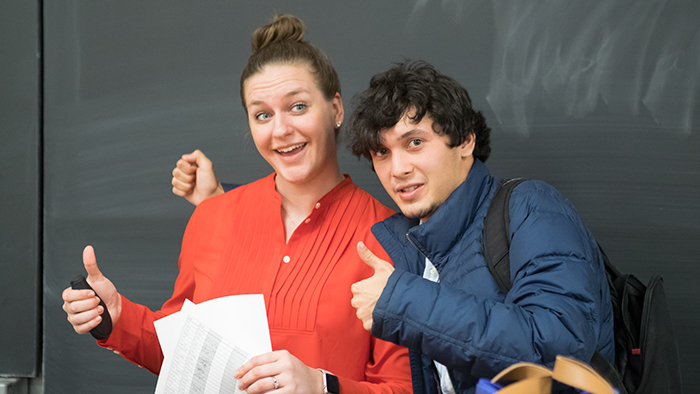 Krista’s talk was well attended, possibly thanks to at least one difficult mid-term exam and the promise of generous extra credit for students enrolled in the introductory and earth systems courses. In her talk, Krista pointed out that there is a strong correlation between the abundance of Japanese barberry and black-legged ticks – the main (only ?) 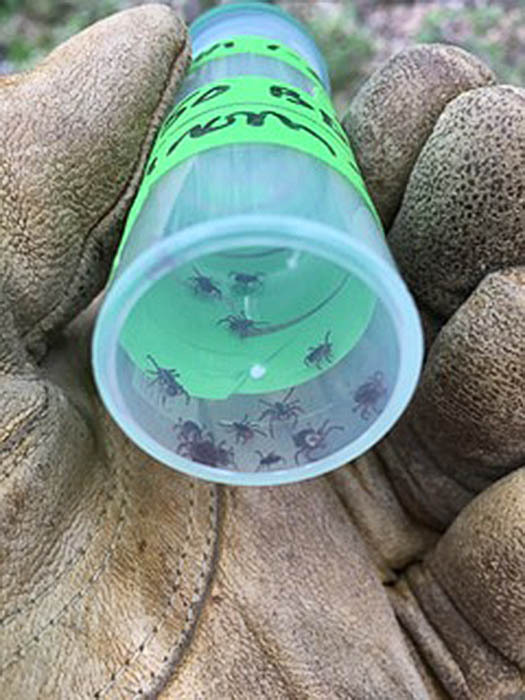 vector for Lyme disease in Connecticut. 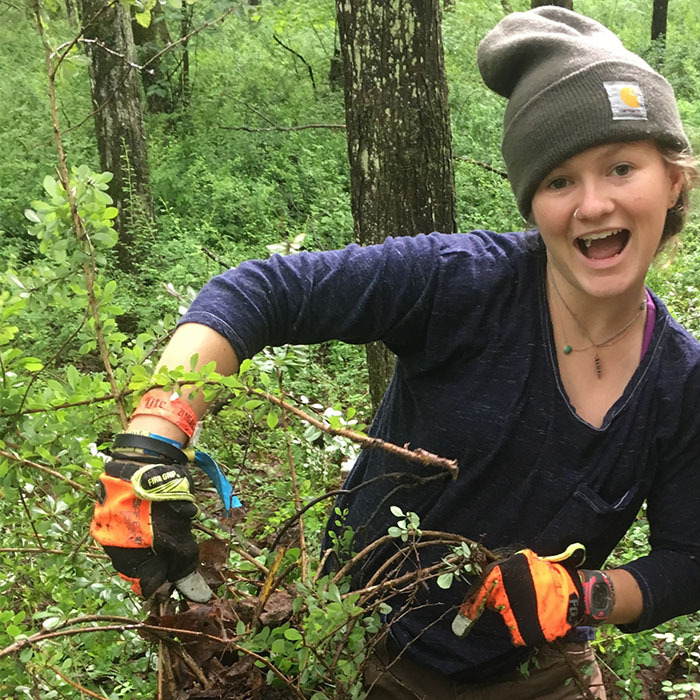 Krista’s research will build on these established relationships between invasive plants, ticks and Lyme disease and study how Japanese barberry will be affected by a warmer climate. 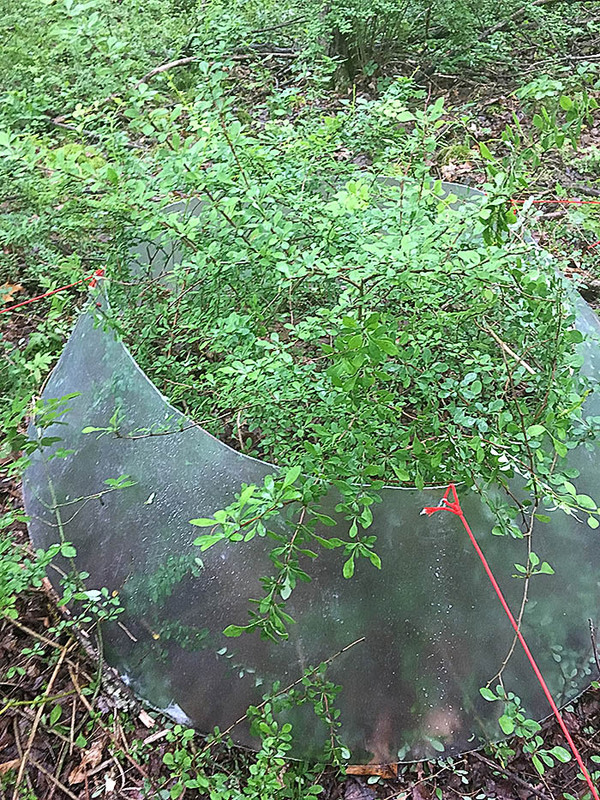 In collaboration with the Simsbury Land Trust, Krista will simulate the effects of a warmer climate on Japanese barberry and tick populations using open top chambers. 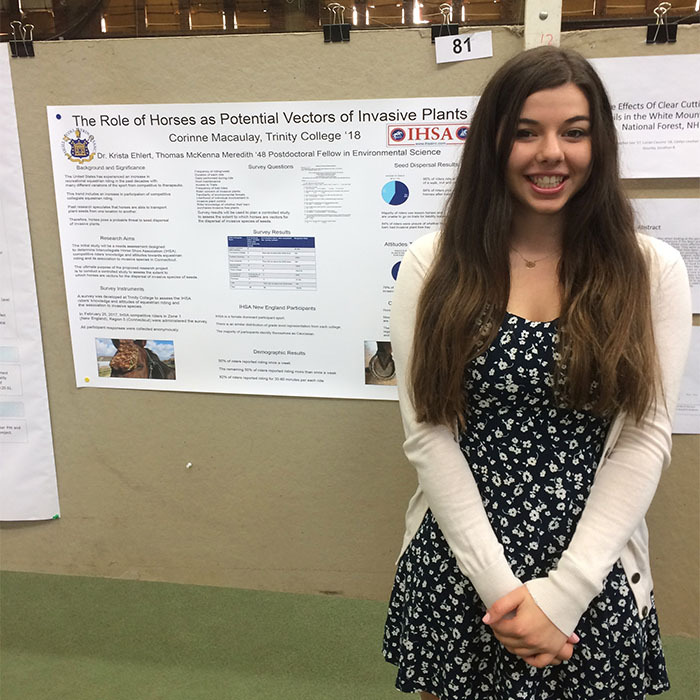 Krista also gave us an outline about her ongoing research projects, which include among others a study on seed dispersal by horses. 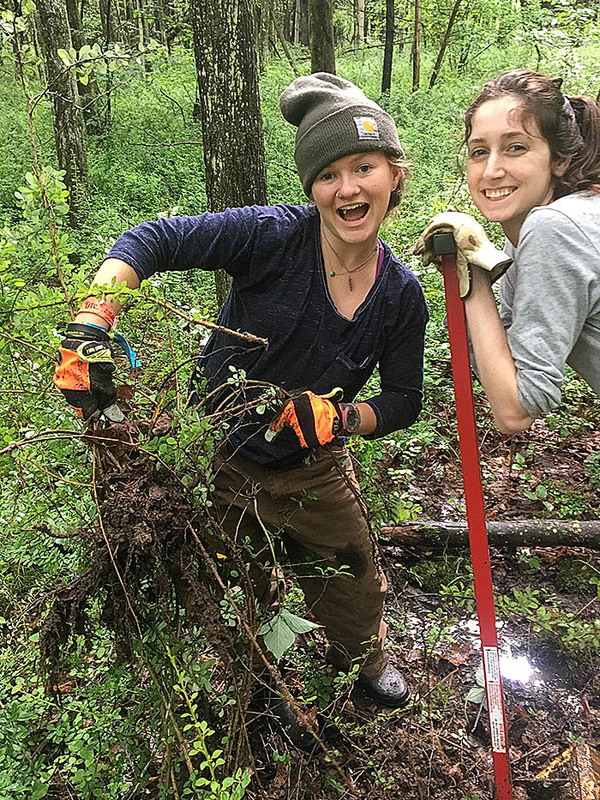 If that sounds interesting, contact Krista, and maybe you’ll find yourself out in Simbsury collecting ticks or counting barberry plants. 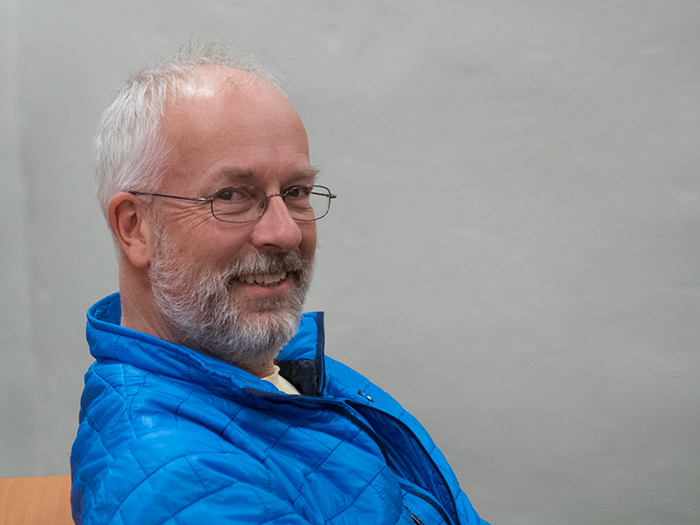 … and even Christoph managed too stay awake through the entire talk. … who had fans rushing up to her afterwards to have their pictures taken.